Air movement and air pressure are all parts of weather, it includes cool things like: jet streams, scales, fronts, wind, and instruments. Air is swirling around the Earth all the time, it moves up and down all over the globe these movements cause changes in air pressure. Air pressure is the pressing down of air on Earth's surface. There are two kinds of air pressure they are high and low. Low air pressure is warm moist air, it rises and expands unlike high air pressure. It is also less dense than high air pressure. Low air pressure means cloudy weather with mostly precipitation (snow, sleet, rain, hail). The winds are usually strong.They are also called cyclones. The air moves counterclockwise towards the center. High air pressure is cool dry air, it sinks and compresses unlike low air pressure. It is also more dense than low air pressure. High air pressure usually means clear, fair weather most of the time. The winds are usually light. Also called anti-cyclones, the air moves clockwise in a spiral outward from the center, the pressure is higher at their centers. A front is the boundary between two air masses. There are two kinds of fronts, a cold front and a warm front. Wind is a type of air movement that can really damage things when its too strong. Also causing death, a wind vane shows us which way the wing is moving. 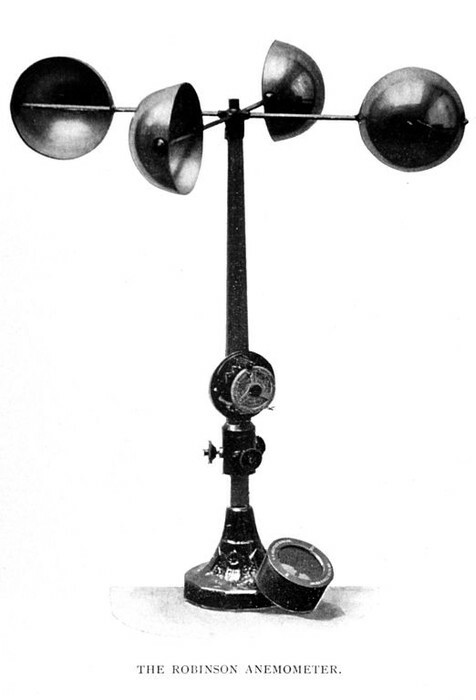 Another instrument used for wind is the anemometer it measures the wind's speed. A beautfort scale includes things like: wind speed, kind of wind, beautfort number, and the effects of the wind. For example if the beautfort number was 11, the kind of wind would be severe storm and the wind speed would be 110 km/h the effect would be serious damage to houses. A wind vane helps us see which way the wind is moving. Meteoroligsts use these tools in their forecast. Some people have them on top of their roof. A anemometer helps us measure wind speed. 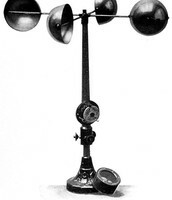 Meteoroligists also use these on their forecast. Usually people don't have these.